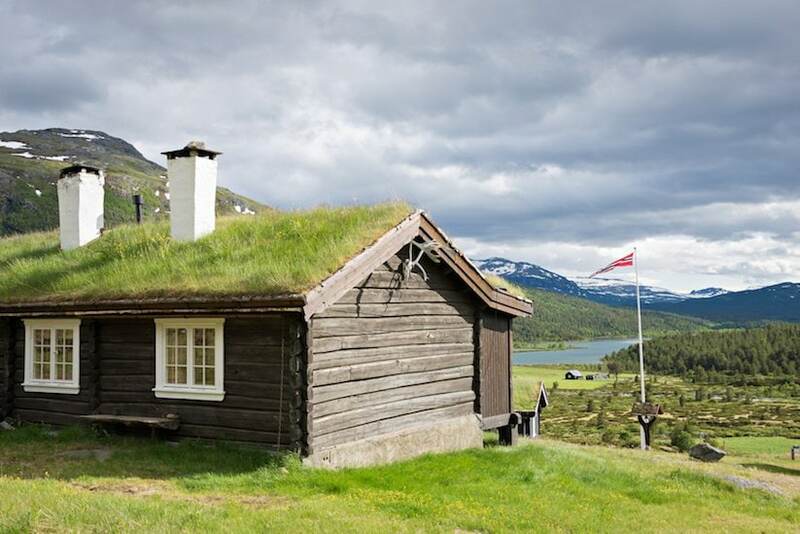 So you’ve found your perfect location, you know where exactly you are going to site your log cabin to make the most of the glorious views, you can envisage your beautiful log cabin sat in that spot, but how do you go about designing and fitting the roof? 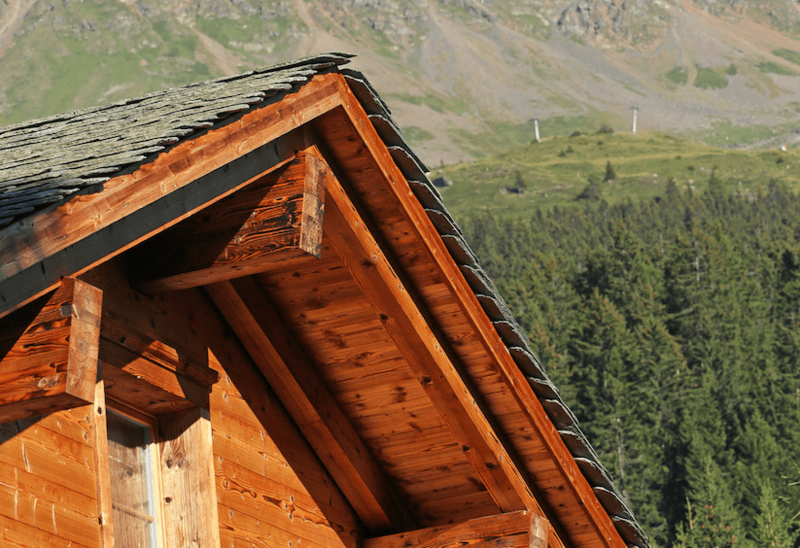 Your roof is one of the key external finishes that can either make or break your log cabin’s success. Having a roof over your head is one of the most important elements of your home, you need to make sure it is well constructed and well maintained. The first thing you will need to do is to familiarise yourself with your local planning and building codes. These regulations vary from area to area and there may be limits on the height of your log cabin, the materials you can use or how close to the plot boundary you can build if you want a tall cabin. Contact your local relevant agencies to check this out before you start any planning, let alone building – you don’t want to build your perfect cabin only to be told to take it straight down! The first decision you need to make is… whether you want a flat roof or a pitched roof? This will be down to the area you build in, the weather conditions typical to that area, your personal preferences and what you find aesthetically pleasing. A pitched roof is a roof with one or more surfaces with a slope of greater than 10%. The benefits of a pitched roof are that they are very aesthetically pleasing and blend log cabins into their surroundings if constructed well. The higher the pitch, the steeper the roof and therefore the more quickly rain and snow will run off the roof meaning your roof can dry. This means it is less likely for rain and snow to get in between your shingles or other materials you use to roof your log cabin. However, the higher the pitch, the more expensive the build becomes as more materials and labour time are needed. You may also find that your local planning agencies object to high pitched roofs. Pitched roofs can be problematic in areas that are prone to hurricanes or high winds, depending on the materials used to construct the roof, strong winds get under the overhang and cause the roof to lift from the walls. 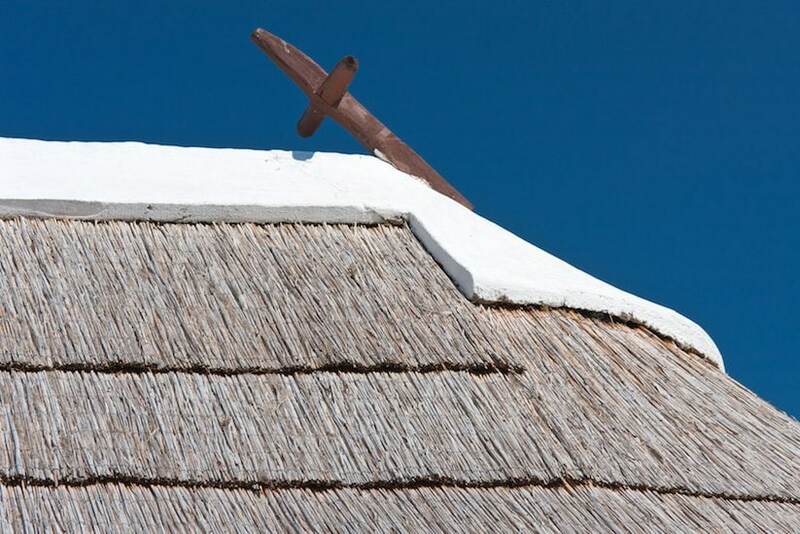 If you choose to have a pitched roof in high wind areas, make sure you use proper braces. In snowy regions, you should use a pitch of at least 10/12 or a 40° angle. A flat roof is often a more affordable option, this is because they usually require fewer materials, and can be constructed much more quickly than a pitched roof therefore reducing labour costs. It is not unrealistic to attach a flat roof within a day. Do not be fooled by the name, flat roofs often still have a slight pitch to allow water to run off. The benefits of a flat roof include that you gain extra space on your roof which could be used for living space, or to install solar panels and make your log cabin more energy efficient. The disadvantages are that they are more susceptible to leakages, especially in areas with high rain fall. The larger the area you need to roof, generally the more unstable the roof will be. Flat roofs may not hold up in heavy snow due to the weight of the snow putting pressure on the roof. Flat roofs are much more suited to drier climates. Something else to consider is that although the initial cost of erecting a flat roof is relatively inexpensive, felt roofs only have a lifespan of around twenty years, so you have the additional on-going costs of maintaining, repairing and replacing the roof. When you have considered whether you will have a flat roof or a pitched roof, and the angle of the pitch, you will want to decide on an appropriate material to use. You may make this decision based on cost, aesthetic looks, energy efficiency and personal preferences. Each material has a range of benefits and disadvantages, we will take a look at each of them now. In my opinion, wood shingles are by far the most aesthetically pleasing option to roof your log cabin. They give it a traditional finish and have a long lasting life span. The most natural looking wood shingles are Cedar roof shingles. They age beautifully, turning from warm red to a beautiful silvery grey. One of the most expensive options are the Cedar shingles, but if you like to live in the lap of luxury, you get what you pay for at $50-$100 per m2. Metal sheeting is more commonly used in commercial projects for log cabin construction but it may still have some use for a private log cabin plan, despite it typically being an industrial product. Metal sheeting is very quick to clad a roof with and there is the option of having the metal panels pre-insulated which will save a lot of time and effort in the build, trying to keep that ever-so-precious heat in. On the other hand, as well as great efficiency, metal with a good protective finish will last a long time and can look very attractive too, particularly in a Metro tile design, at a fraction of the cost of other materials. On the other hand, if there is a poor/no protective finish, cladding metal can rust and discolor very easily and if you choose to go without insulation the noise from rain can be quite a nuisance for those peaceful times…unless you find the patter of rain relaxing of course! Typically, you’re looking at paying $15-$50 per m2 for Metro style metal cladding. The EPDM Rubber Roof is a very simple and easy method of covering your flat or low sloped log cabin roof. It is a lot easier to fit than traditional roof felting. Unlike felting, EPDM Rubber can be fitted in one piece and can be ordered to the right size in the dimensions you need, this makes leaks almost impossible if fitted correctly. 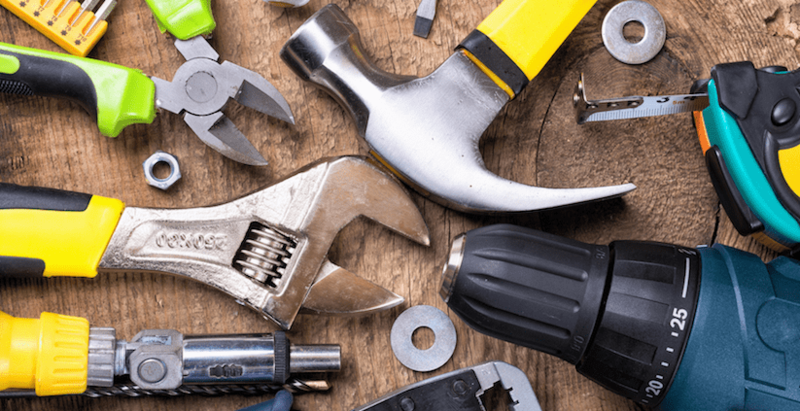 This option is very DIY friendly! 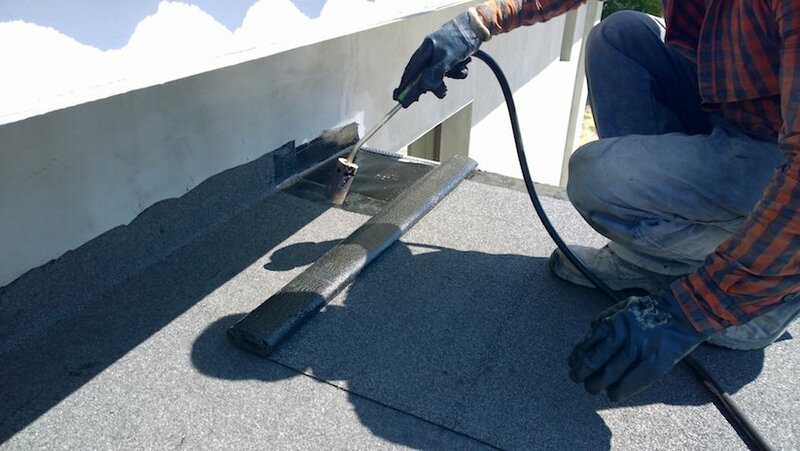 To fit this roof you will need the EPDM Rubber and a EPDM glue paste, you simply put the paste onto your roof boards, roll out the rubber roof and brush out the air pockets. To finish, you will need to nail down the sides of the rubber straight into logs forming the side of the cabin and add plastic trims which will ensure the rainwater runs off into the guttering. This roofing option costs around $10- $16 per m2, and is very durable; Due to it’s properties it has a strong resistance to water, UV and heat. A problem with the EPDM Rubber Roof is that the glue dries out after time or it fails at the glued seams due to contact with standing water. A typical rubber roof will need to be repaired every 5 – 10 years. Perhaps a less popular choice due to the complexity of the thatching technique, however the thatched roof certainly will give your log cabin a stunning finish. This is probably one of the most expensive ways to roof your log cabin, and you can expect to pay roughly $280 per m2, depending on location and the quality of reed used. The roof pitch of a log cabin with a thatched roof should be at least 40° to allow rain and snow to run off quickly. Roofing felt is relatively cheap and the life expectancies of roofing felt varies according to the quality and grade. It usually lasts between five and ten years. This is a very quick and easy option to cover your roof. Felts come in numerous different colours which can help you to blend your log cabin into its surroundings. The average cost of roofing felt is around $10 per m2. A downside to felt roofing is that homes often have a poor resale value and they require more maintenance and inspections than a traditional pitched roof. 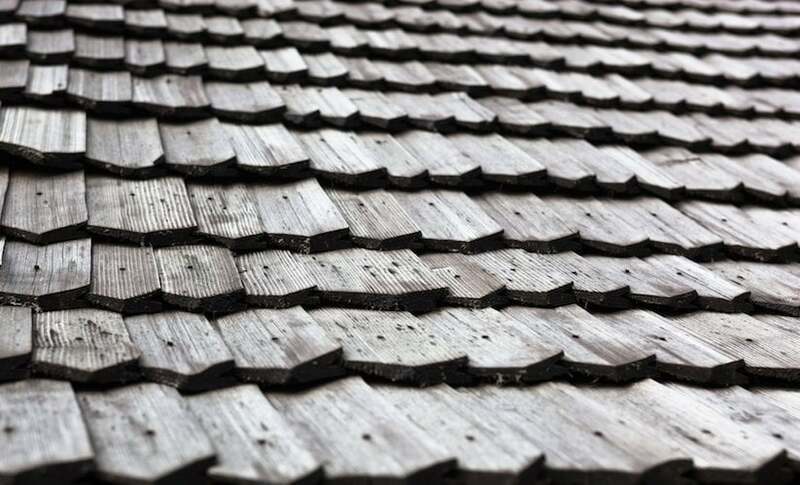 Felt shingles are usually thicker than roofing felt on a roll and normally come in strips of around 1m long. The life expectancy of felt shingles is also longer than that on a roll, and lasts for around 20 years. Most felt shingles come with an adhesive backing to stick them together when they get warm, this makes it difficult to lay them in cold weather and you may require the use of a blow torch or similar to help them stick together. Do be careful and follow manufacturer’s instructions though, as applying heat to some felt shingles may damage them or could be dangerous. Like the roofing felt above, they are available in different colours and shapes. 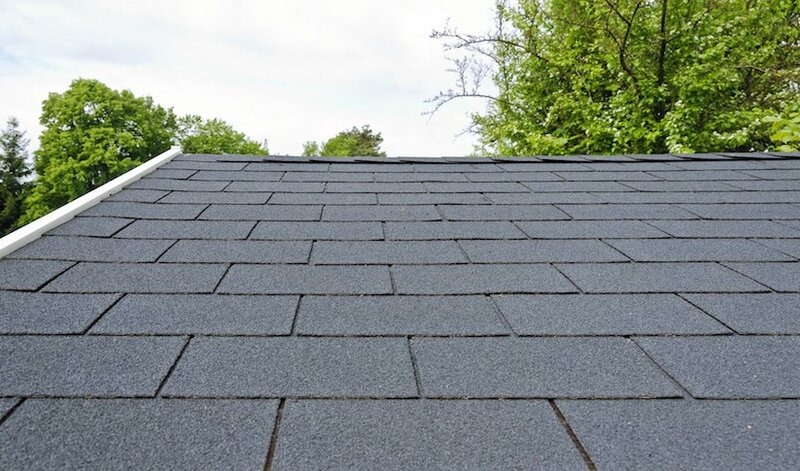 Felt shingles cost slightly more than buying felt on a roll, however do bear in mind that they are cheaper in the long term due to their longer life span. The average cost of felt shingles in around $12 per m2. This is by far the most environmentally friendly option and can be very aesthetically pleasing if done correctly. It is definitely not the cheapest option for a log cabin, and you need to be careful with the weight that the soil may put on the roof, especially when it is saturated with rain. The cabin would need to be designed appropriately with a solidly reinforced roof structure. If done correctly, this green roofing option can be low maintenance and energy efficient as it can add an extra layer of insulation and also provides micro-climates for insects and bird life. The cost of a green roof varies hugely depending on the types of plants and the area in which you live in. Check with the local authorities and the building regulations that are in place in the area. Apply for and receive planning permission, if necessary, before starting your project to save time and money. Roof pitch is primarily about weather conditions and cost – a more expensive pitched roof for high rainfall areas and either pitched or the cheaper flat roof for dry areas. Materials matter! Choose the materials that suit your needs, taking into account cost, labour, structural load, insulation, water, sound-proofing, aesthetics and maintenance. And finally remember, “happiness is a journey, not a destination,” so enjoy your project, keep the beautiful end goal in your mind’s eye and take pleasure in the day to day process of making your dreams take shape. Have you roofed a log cabin before? Is there any advice or quick-tips for first time log cabin enthusiasts you would recommend? Please feel free to share in the comments below.